We specialize in Cherry Creek Real Estate and making the ease of searching for new homes, condos and land listings a pleasurable one. 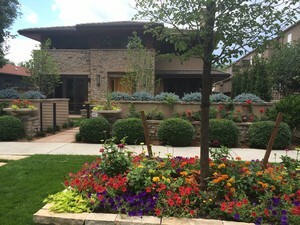 Our expertise in the Cherry Creek neighborhood means we have the market knowledge and experience to make buying or selling your home a rewarding and profitable endeavour. Be sure to Save Your Search for any property updates, such as new listings or price changes. Cherry Creek is a upscale neighborhood that maintains a balance of urbanity and tree lined residences. It is at the center of Denver and south of it is the famous Cherry Creek which the area is named from. On the north, one can see the East Sixth Avenue while on the east is the University Boulevard. 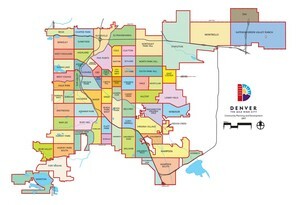 To the west, Cherry Creek is bounded by Colorado Boulevard, which is popular for its shops, diners, and other commercial centers. Without a doubt, a resident in Cherry Creek can fully enjoy the comforts of urban development but still relax to the unperturbed neighborhood. It is the ideal residence for families who enjoy the hustle and bustle of the city while still coming home to a quiet neighborhood. The area is famous for the neighboring Cherry Creek which was the attention of the Gold Rush during the late 1850’s. Before, the creek was a part of the territory of West Kansas. It drew the attention of many miners and gold investors when they unearthed gold from it on April 23, 1859. There are bike parks all over the area like the Cherry Creek bike path. Residents often go on picnics in the beautiful parks around the neighborhood like the Manley and Pulaski Parks. Recreational activities such as casual sports and picnics are often done in these lush green parks. 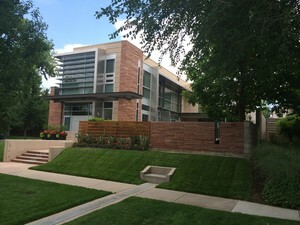 Cherry Creek neighborhood is known for being arts enthusiasts. They hold an annual Cherry Creek Arts Festival for those who want to express their artistic spirits over the July 4th weekend. The many galleries are open and showcase their works during the festivals along with musical entertainment and local food vendors . During the last weekend of April, the neighborhood becomes active and healthy by holding the Cherry Creek Sneak which host a 10-mile, 5-mile, 3.1-mile (5K), 1.5-mile Denver's 7 Sprint, and 1/2 mile Kids' Fun Run. upscale shopping mall that holds some of the most luxurious brands and great shopping experiences. The main district for shopping and dining is at the Cherry Creek North where people can enjoy a casual time with their family, friends and neighbors.